Dispatchers across the area say they’re seeing a spike in non-emergency or abandoned calls. 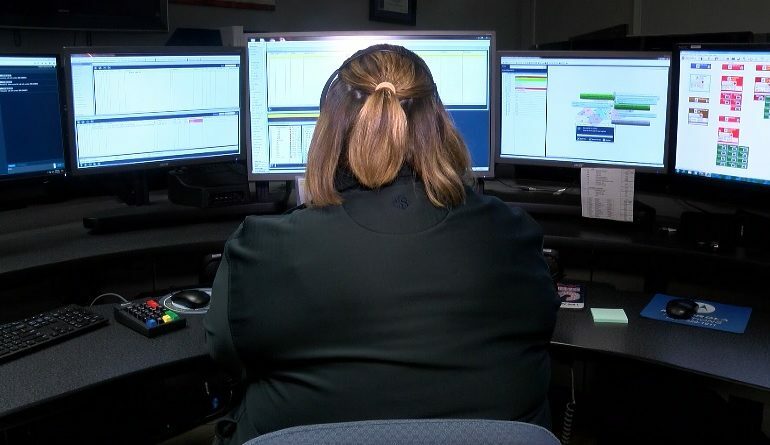 911 is there to alert local authorities about where to go when there is an emergency, but dispatchers say this is impacting their job when it comes to helping people who need help. In Henderson, dispatchers say they receive hang up calls several times a day regarding non-emergencies, small children accidentally dialing 911, or telemarketers which is fairly recent. Last month alone, Henderson dispatch recorded 128 abandoned calls. “Every second is crucial,” says Sheriff Michael Wilder, Warrick County Sheriff’s Office. In Warrick County, Sheriff Wilder says they also see their fair share of non-emergency calls ranging from weather updates, traffic conditions, and even the phone numbers to local restaurants. “Those are important questions we have no problem answering them and being part of that conversation, but not on our emergency 911 lines. But people don’t take the time or look up how else to get in contact with us and they tie those emergency lines up for reasons like that,” says Wilder. Dispatchers say 911 calls are critical because they could actually be a matter of life or death. If you dial 911 by accident, stay on the line and let the dispatcher know. For parents with small children, take the batteries out of old phones. “If you think you do have a true emergency, call, that is what we’re here for,” says Mills. Officials say that charges could be made for false informing in the state of Indiana. Dispatchers say people should remind small children for when to dial 911 and that there are non-emergency numbers posted in your county.